If you ever forget that it’s people who make ‘homes’ out of houses, meeting a family like the Harders in Hibbing might just jog your memory. You know, those subtle but wonderful ‘little’ things—starting with a neat row of shoes at the door. Home from work, Gena Harder still had energy for smiles and chats as she reconnected with her three daughters. Alexa, 20, the eldest, was also forced to chuckle away her 9 to 5 pre-occupations, as she assumed her role as ‘lettuce’ in a human sandwich the twins Aella and Maeya, 4, had spontaneously decided to create. Alexa told me about dreams of going to college –without getting in debt. Gena has worked hard to provide and nurture despite a real struggle with affordable, adequate housing. Gena looks forward to her monthly housing payments providing a home that is safe, temperature controlled, and functional—“and has a back door. She is eager to close the door on all the years of rental issues--like windows that are nailed shut, chronic furnace and heating crises, bedrooms that aren’t really bedrooms, and repairs that are not a landlord’s priority. The energy she needs to get through busy months ahead--- she’ll draw that from the vision of her family living in a safe home where there are more things working than broken. 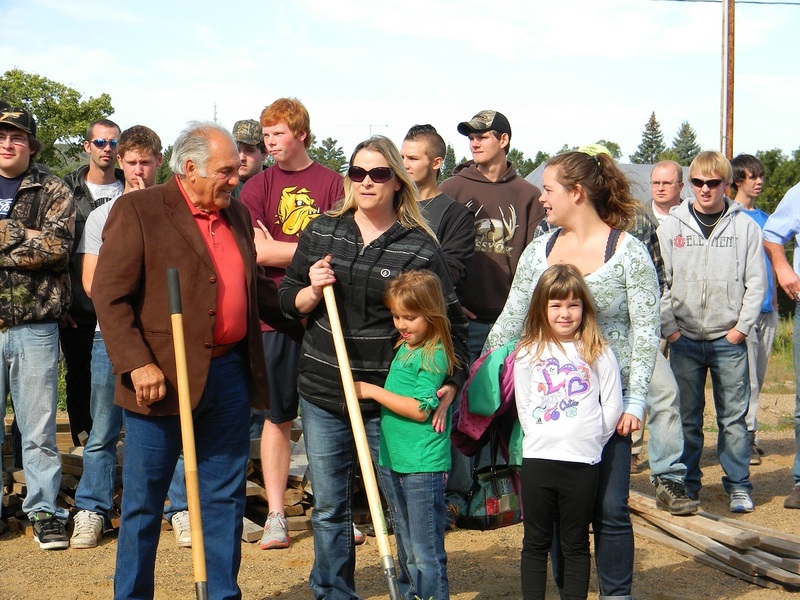 Gena Harder and her family are excited to partner with Habitat for Humanity to build their new home in Hibbing. This will be a student built home in partnership with the Applied Learning Institute. Students from the Chisholm and Hibbing High Schools will build the home as part of their construction class. The home will be under construction through out the 2012 - 2013 school year. 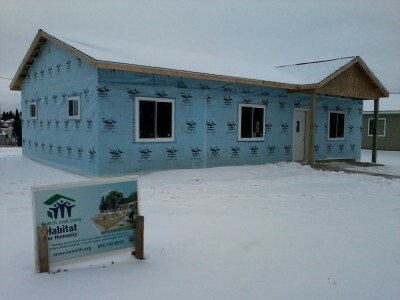 Students from the Hibbing Community College's Electrical Class will also provide the electrical labor for the home. Funding for the home is being provided by community businesses, churches and individuals. The home is also sponsored by the Wells Fargo Foundation who provides funds and volunteers for North St. Louis County Habitat projets.